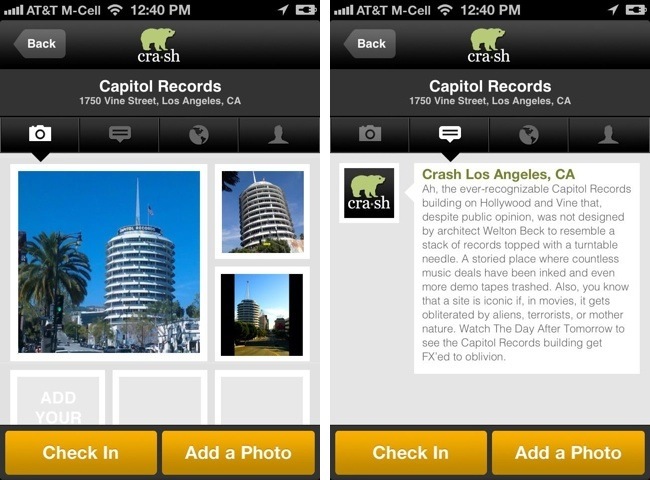 Write copy for Crash, a local attraction-discovery/social-networking iPhone app that helps people easily locate places of interest nearby (e.g. museums, street art, famous filming locations, landmarks, etc.). 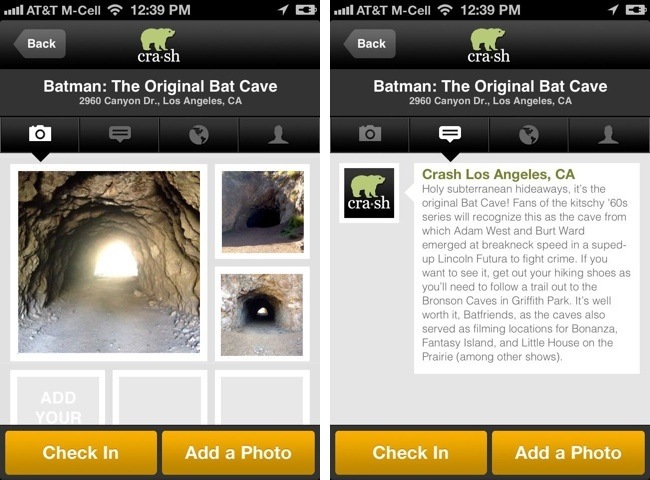 Users can check in, leave photos and comments, and share which attractions they've "crashed" with friends in their network. The client requested that the copy be written with an insider "attitude" and that it shouldn't read like your run-of-the-mill tourist guide. I used a humorous tone that didn’t talk down to users, but, rather, assumed that they were already somewhat familiar with the area as well as with the pop culture references mentioned. The client responded enthusiastically and asked me to author the copywriting best practices guide that was used by all subsequent writers.